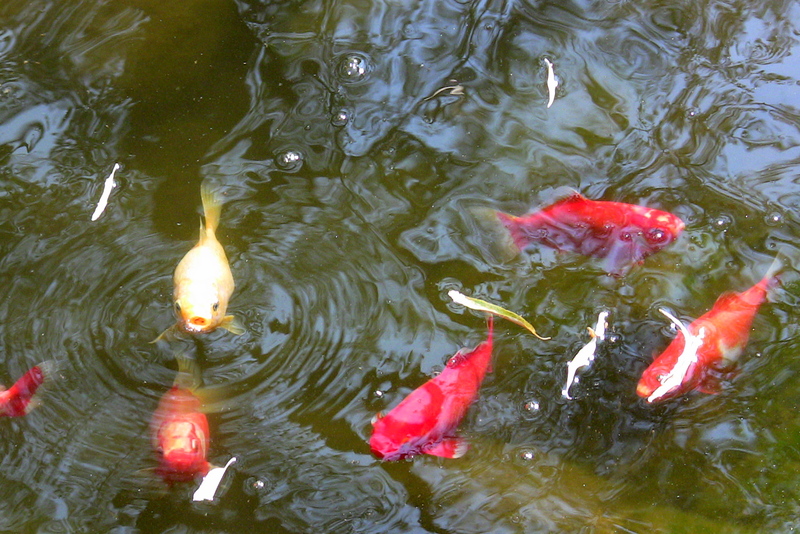 Even the fish in the koi pond seemed to say hello! Best Friends has a beautiful Welcome Center. The Welcome Center is responsible for so many things it’s almost scary. 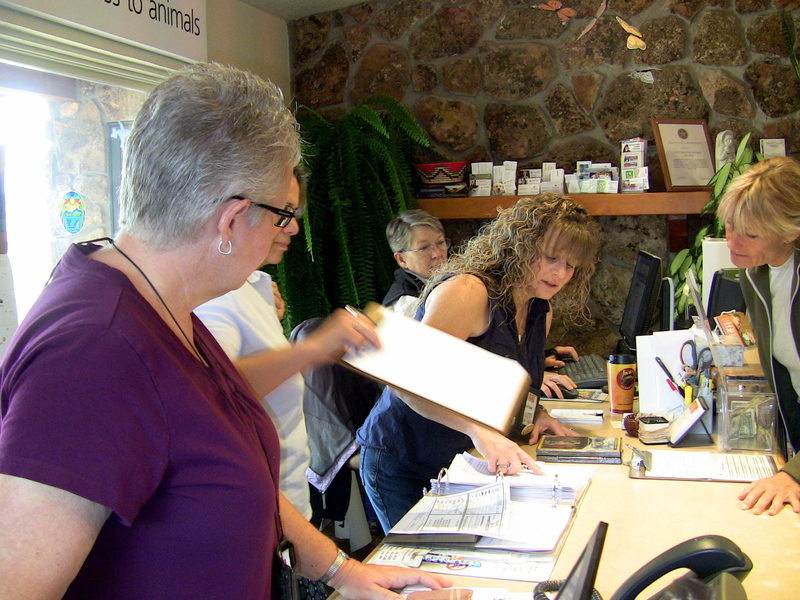 They schedule tours around the sanctuary for guests, maintain the Gift Shop, answer phones from people wanting information, answer tons of questions and maintain the sanity of a very busy place. Luckily, it is a very beautiful and peaceful place. So this, combined with the talented staff creates a feeling of calm and competence. The tours are about an hour and a half long and I highly recommend one if you intend to go. It will give you a better idea of the vastness and scope of just how big this Sanctuary is. And if you are going to volunteer, you’re going to need to know where you’re going. So do yourself a favor and take the tour. The first tour begins at 8:30 and you watch a video before taking the tour that gives you an overview of Best Friends. The Welcome Center is open from 9 to 5 and receives about 30,000 visitors a year. Of those people, 55 to 60 percent of the visitors take a tour. When I visited the Welcome Center, a Gentleman got out of the tour van, walked into the Center and said, “What a presentation!” I guess he was impressed as I was when I took it earlier in the week. 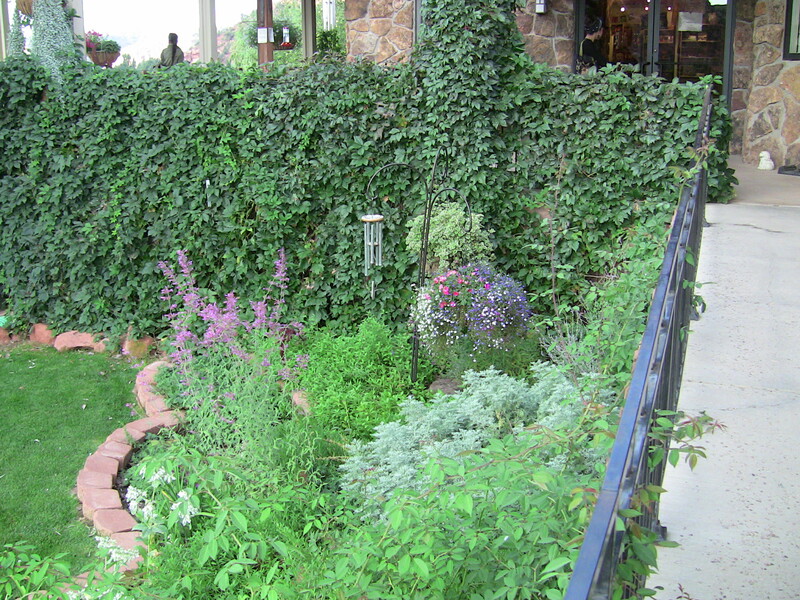 More of Janiece’s landscaping work! Patti Atwater is the Welcome Center Manager. Originally from Massachusetts, Patti has the routine down, yet she is always looking for a better way to approach the challenges of creating a positive experience for all of those guests and volunteers. Along with her staff Ann, Laura, Chris, Justin, Diane, Tina, Anthony, and Raven, Patti has managed to keep a sometimes chaotic and very busy place from spinning out of control. Trust me, this place gets busy and they deal with this challenge with grace and style! Patti began working here with the mindset that she had something to offer rather than to come here to have the place have an effect on you. While Best Friends does affect you, it’s best to come here as an employee with the mindset that you are there to give something. Here is Laura, helping a guest. Patti remarked, “People come here to work believing it’s going to change them.” This is a theme I’ve heard over and over. In order to work here, some people have uprooted their entire lives and changed their lifestyles. It’s best that you come here wanting to give something rather than believing it will somehow magically change negative parts of your life. There are approximately 340 employees at Best Friends, with 100 more in remote places across the country. The goal? Using entertainment and humor to educate. There is a daily morning meeting for the Welcome Center employees at 8:50. They go over the schedule and review who is giving what tour, and how many people are expected. What I got from my time there was the importance of creating an experience. They want to raise awareness of the fact that they are mindful of not only the welfare of animals, but of the land where the Sanctuary is located. It’s a gorgeous part of the country and they have the belief that they are stewards of the land, so they are thoughtful about even where they put buildings. This “mindfulness” even extends to the guests who have sometimes saved and planned for years to visit the Sanctuary. 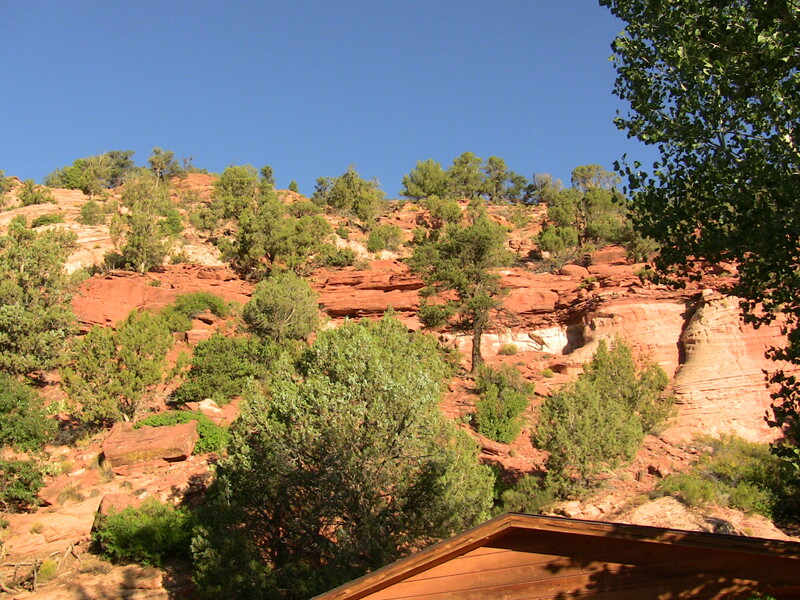 Of course the most popular past time here is walking the dogs and having one for an overnight visit, but inevitably, most people who come here end up at the Welcome Center. Most have similar questions but the repetition doesn’t seem to bother the staff. They told me that when they see the look on the faces of people seeing the Sanctuary for the first time, it’s like seeing the place through a fresh set of eyes.